Ever since seeing It's Complicated, I've been in the mood to make a chocolate frosted cake from scratch. I finally made one a few weeks ago to take to our family reunion (so as not to eat it all myself) and used Ina Garten's fabulous recipe. 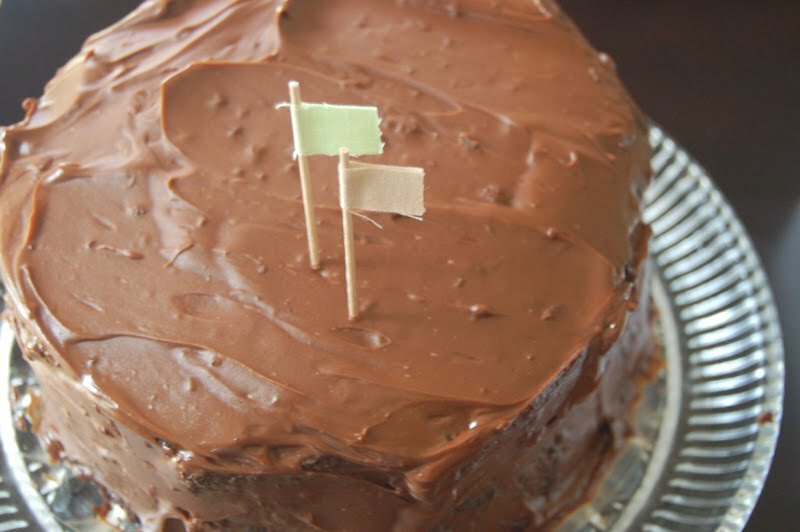 It calls for coffee in both the cake & frosting, a surprise ingredient that makes it impossible to eat just one piece. I hesitated about the coffee ingredient because we don't drink coffee and I pictured myself buying one at Starbucks just to put in the cake. 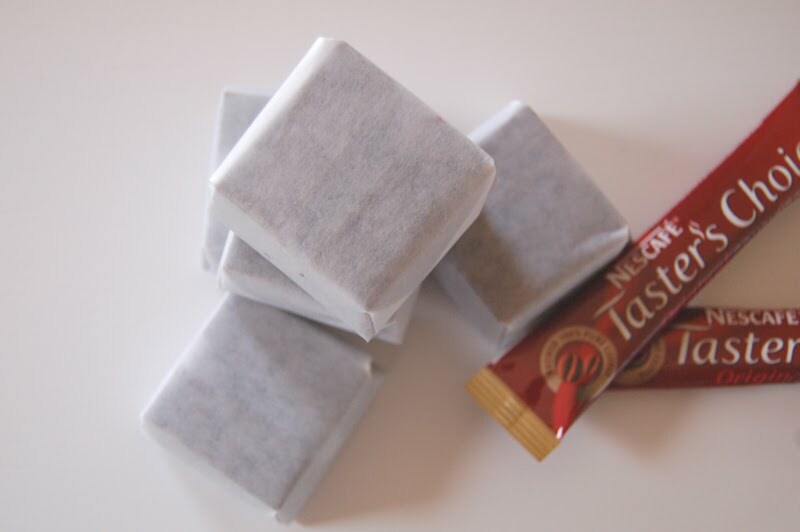 Then I realized they make convenient packets (of course) that you can add to water to make coffee in under a minute. Here is the recipe for the cake if you'd like to make it. It comes from Ina's book, Barefoot Contessa at Home, one of my favorite cookbooks. The next dessert on my list from the book is her chocolate sorbet - yum! My mom and sister were just pouring over Ina's book this morning picking out good recipes to try! I've never tried one of hers before but i looks delicious! I'm excited to see your chocolate sorbet. I could go for a slice now! Thanks for the sweet message about Emory! PS. I posted a picture of a blanket today that mom made that was inspired by one i saw on your blog! This looks delicious. Would love a piece! I'm not a coffee drinker either and would have hesitated. Since you liked it I'm going to try that next time! Gotta love chocolate. Oh wow! Looks delicious Alli - will have to give it a try myself one day but I think I'll follow your lead and wait until I have a function to go to so I don't eat it all myself :) Yours looks amazing! This looks so good! There's nothing better than a cake made from scratch. I recently found your blog and am really enjoying it - it's lovely! oh but i would have eaten it all my self! Beautiful and delicious. The coffee = a perfect addition. 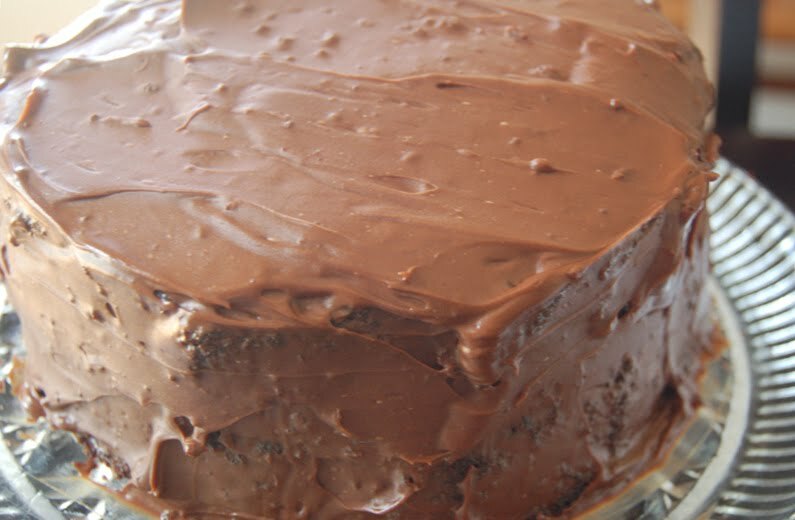 If you're looking for a cake + frosting recipe to compare, though, try googling Canadian Living Chocolate Layer Cake Recipe. Those Canadians know how to make a chocolate cake. yummy it looks delicious, I really want to give it a go!